About 8 million tons of plastic enters the ocean each year. Part of this accumulates in 5 areas where currents converge, creating a vortex-like pattern that draws in floating waste and debris. These swirling masses of water are called gyres. At least 5.25 trillion pieces of plastic are currently in the oceans, a third of which is concentrated in the infamous Great Pacific Garbage Patch. 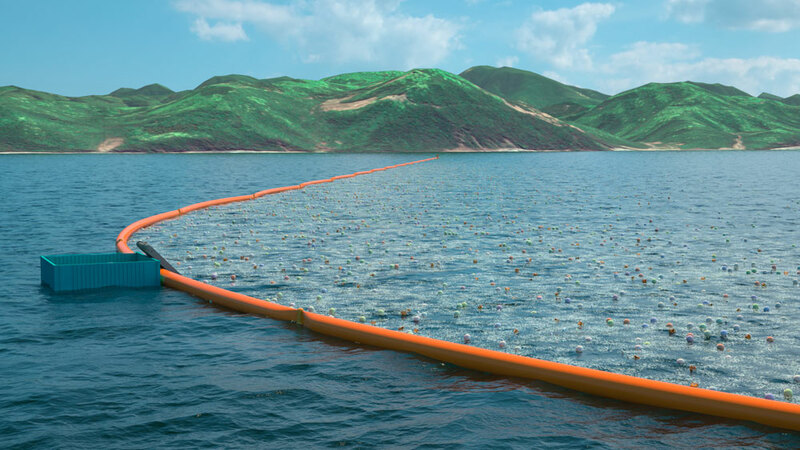 From the Soul Digital Forum in South Korea, Boyan Slat, 20-year old founder and CEO of The Ocean Cleanup, recently announced that the world's first system to passively clean up plastic pollution from the world's oceans is scheduled to be deployed in 2016. The array is projected to be deployed in Q2 2016. 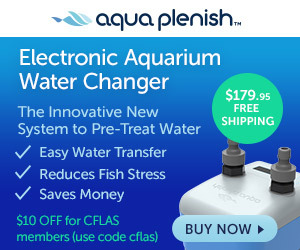 The feasibility of deployment, off the coast of Tsushima, an island located in the waters between Japan and South Korea is currently being researched. The system spanning 6,000 feet will become the longest floating structure ever deployed in the ocean, a title currently held by the Tokyo Mega-Float whose length is recorded as 3,000 feet. 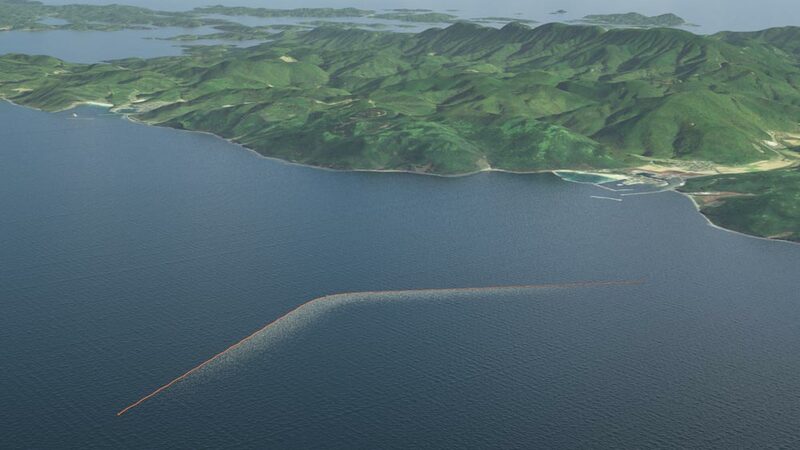 The Ocean Cleanup system will be operational for at least two years, intercepting plastic pollution before it reaches the shores of the proposed deployment location of Tsushima island, which is currently evaluating whether the plastic can be used as an alternative energy source. To give you a visual of the level of plastic pollution, the equivalent of (5) five-gallon buckets full of pollution per person is washed up each year, which has the Japanese local government seeking innovative solutions to the problem. The deployment will represent an important milestone in The Ocean Cleanup‘s mission to remove plastic pollution from the world's oceans. 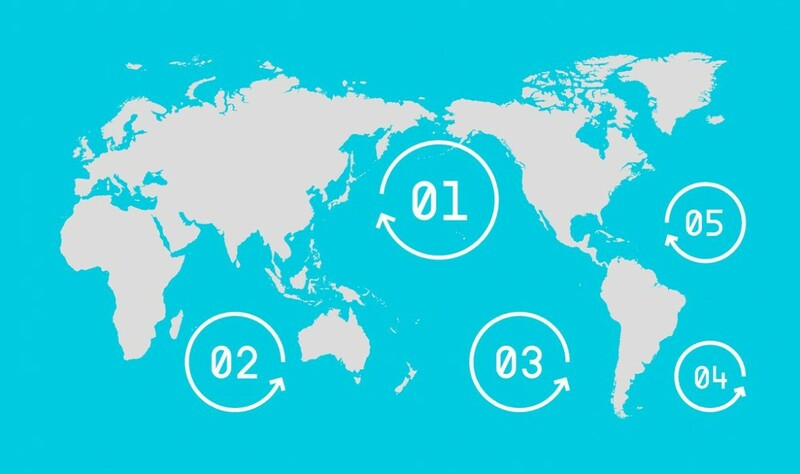 Within five years, following a series of larger deployments, The Ocean Cleanup plans to deploy a 60 mile-long system to clean up roughly half of the Great Pacific Garbage Patch, which lies between Hawaii and California.